Like it or not, but I am extremely addicted to plaid scarves. 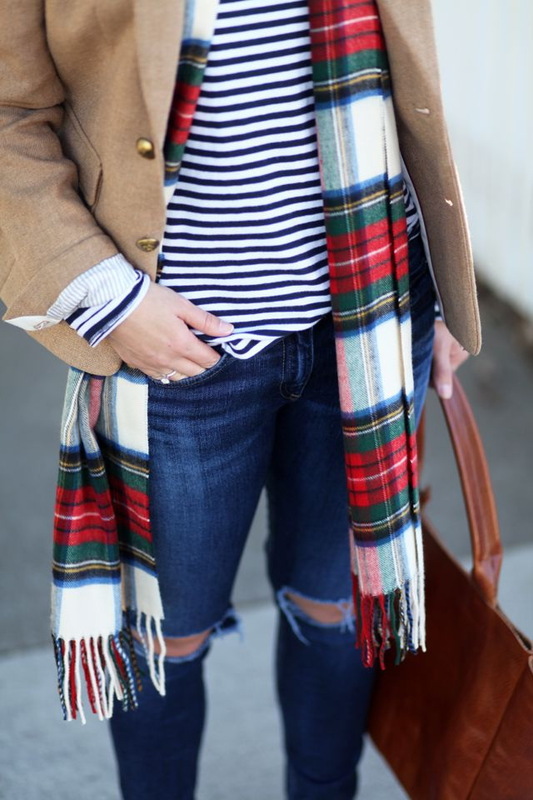 In today’s blog post I want to share with you my favorite ways how to wear plaid scarves. This is a great Winter accessory essential that is both warm and can be worn with anything. I just go crazy when I see these beautiful accessories on ladies, no matter if they are working women, fashion editors, bloggers or celebrities. It’s no wonder why this pattern has become a mainstream accessory. Of course, if you want to look different, then you better choose unusual color combos. There are thousands of beautiful plaid pattern scarf styles, including blanket styles, infinity scarves, etc. Plus, you can find all kinds of checkered print sizes in every shade you could possibly imagine. Anyway, scroll down to see amazing colors and scarf styles you can try on next week. Trust me, you can make any outfit look pulled together, all you need is a plaid scarf. 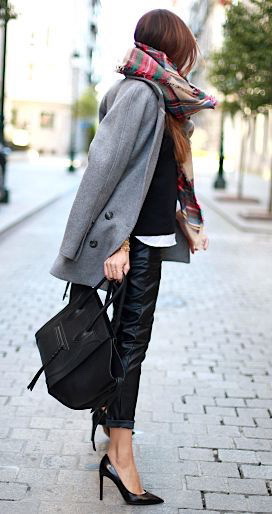 We see black-white-blue plaid scarf worn atop black leather jacket teamed with black skinnies and cool blue runners.